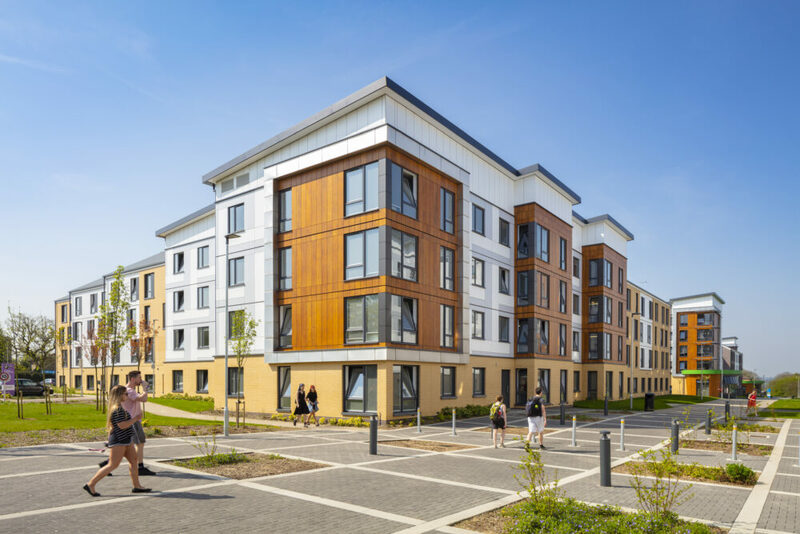 A transformative project for the University of Hertfordshire creating a new student village of 3,000 rooms on the College Lane campus. 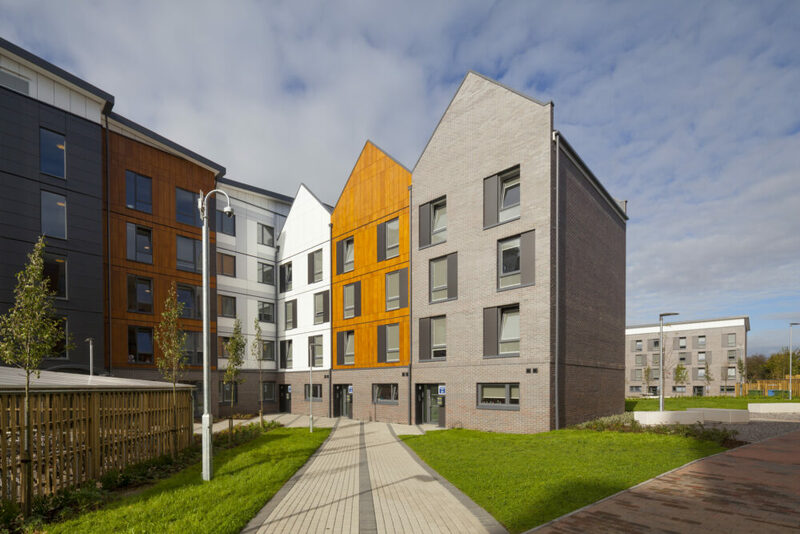 This scheme achieved BREEAM Outstanding. The scheme at College Lane provides 2511 new student bedrooms arranged in five colleges each of which is structured around a semi-private courtyard and common room. 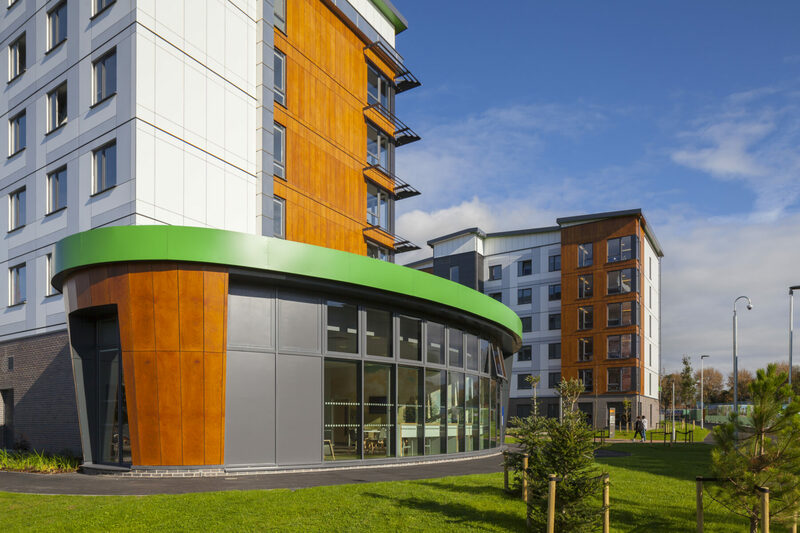 A further 500 bedrooms were refurbished as the first phase of construction integrating the existing Telford Court into the development. 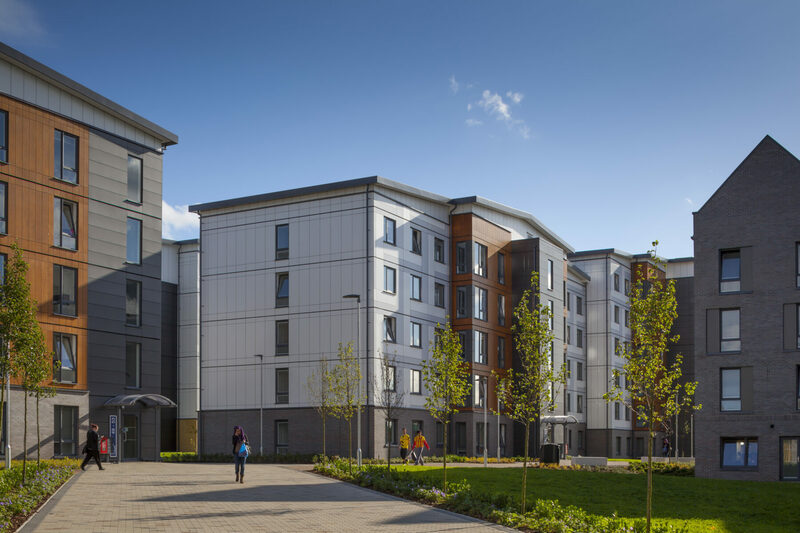 The new student village is supported by a large social hub and generous sports facilities. 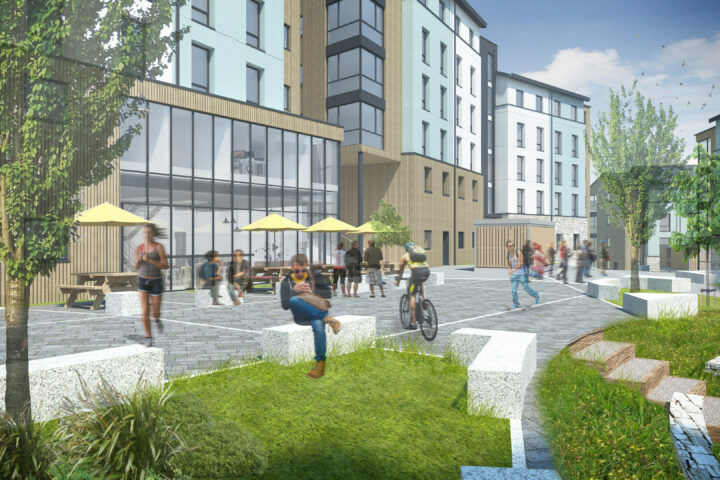 One of the primary considerations for the College Lane project was the requirement to support the creation of an exemplary student experience creating ‘more than just a place to live’ by engendering communities, identified in the University’s Estates 2020 Vision masterplan. During competitive dialogue Willmore Iles developed the design approach of five residential colleges built around landscaped courtyards. This was supported by research into the most successful student communities in the UK and USA. Each college of approximately 500 students has its own identity, name and social space. The colleges are divided into two courtyards which further breakdown the social groups into a more manageable 250. Management and pastoral care is on a collegiate basis with each college having two wardens, one per courtyard who live within the college. Across all stages of the development process student well-being was promoted through design and management measures. 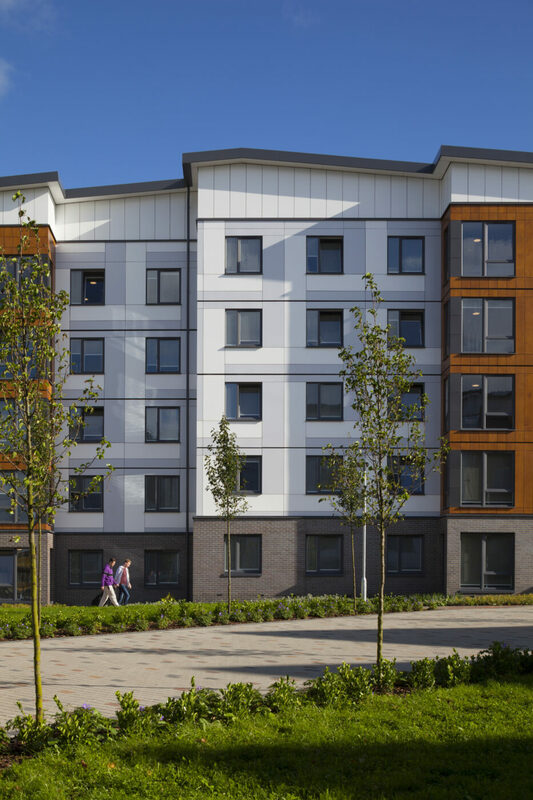 In support of the accommodation there are common rooms located at the entrances to each of the five new build colleges. 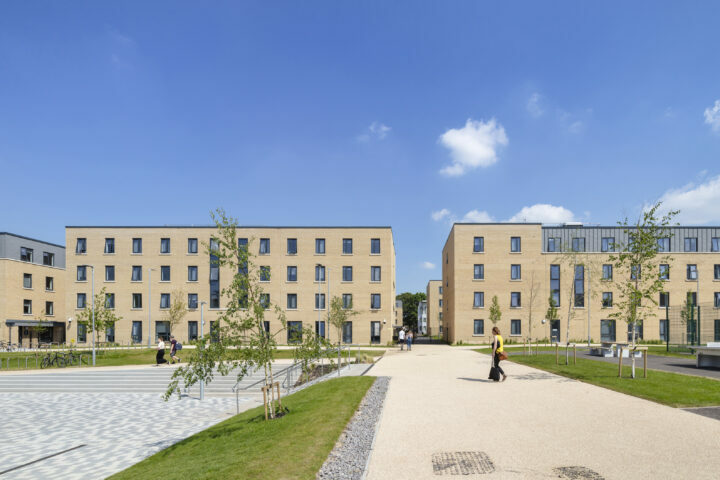 These common rooms have been sited to overlook entrances to promote security, engender a sense of wellbeing amongst the students and define the courtyard boundaries. Within the wider setting of the scheme, purpose designed sporting facilities and opportunities for casual games have been built into the landscape design. A gym and two MUGA pitches provide opportunities for more formalised sports and recreation. The Central Park offers a place of tranquillity at the heart of the campus to be shared by all students and staff.